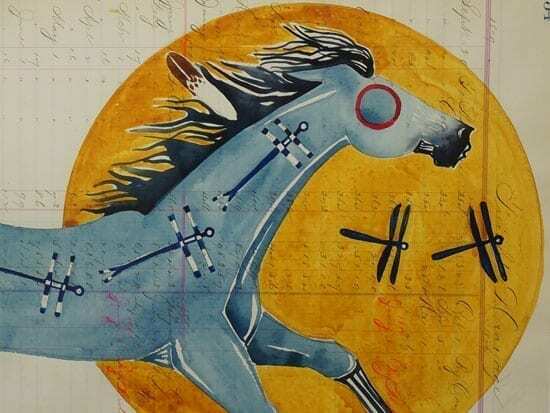 A watercolor made on antique ledger paper (1879) by Lakota artist Joe Pulliam. 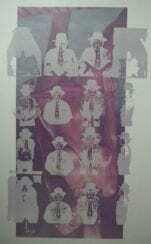 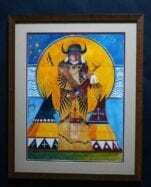 Pulliam’s work is in the permanent collection of the National Museum of the American Indian. 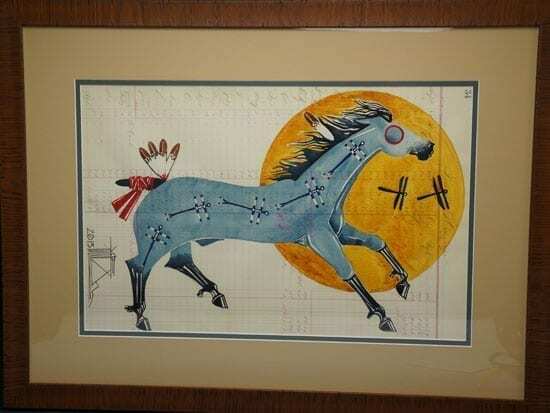 This painting depicts a Lakota war horse whose body is adorned by dragonflies (symbols of speed and the continuity of the cycle of life). 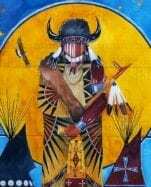 The tail is adorned with four feathers, symbolizing the four directions or the four elements.